Palm Valley Upper School Theater and English Departments, in a joint venture, hosted and celebrated last Friday night "The Best of the Bard: 24 monologues from the plays of William Shakespeare." This was the school-level competition for the national English Speaking Union Shakespeare Monologue Contest - where Jackson Dean took 1st place last year. Friday night's winner was sophomore Leo Milmet with Shylock from The Merchant of Venice. Leo will go on to compete regionally at Palm Springs High on Friday, February 22nd. He will again perform his monologue, and he will recite a Shakespeare sonnet as well. 2nd-runner-up and our alternate in the regional competition is sophomore Marianne Capetz with her Viola monologue from Twelfth Night. Sophomore Caroline Scheil won 3rd place and Audience Favorite with her rendition of Phoebe from As You Like It. Junior Charles Schnell was deemed Honorable Mention with his Berowne monologue from Love's Labor's Lost. The regional winner will go on to New York City to perform at the Lincoln Center--something Palm Valley students have achieved six times over. Congratulations to all who participated! 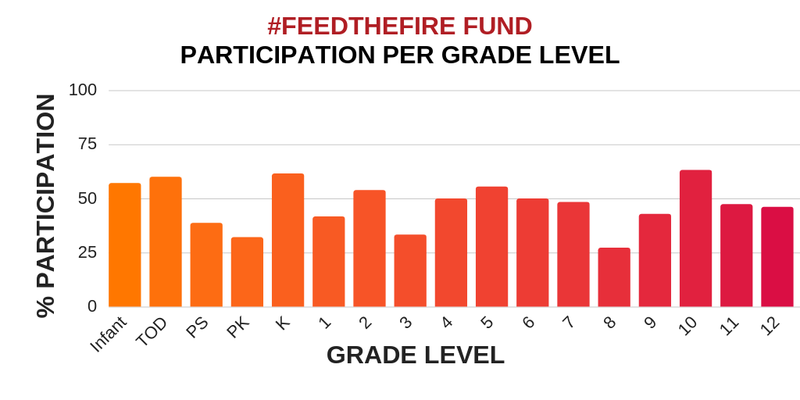 #FeedtheFire Classroom Competition - TWO DAYS LEFT!